Greetings, everyone. Welcome to Episode No. 2 of the Sawchik Chat.... Long way to go to catch up to EW podcast. Are we, savvy baseball fans, really meant to believe Jose Bautista is turning down bigger offers to return to Toronto? These "better offers" seem about as real as your middle school buddy's Canadian girlfriend. What can you tell me about Trevor Clifton? Reigning #Cubs Minor League Pitcher of the Year Trevor Clifton gets his No. 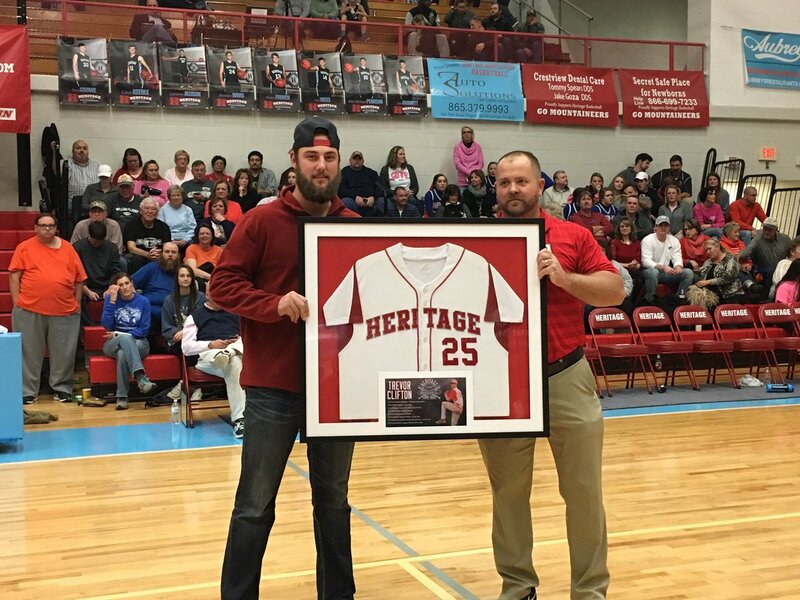 25 retired at Heritage. Schwarber hasn't had much success vs LHP in his professional career so far. Is this likely being discussed and/or worked on, or are the Cubs not worried whatsoever about a little platoonin'? If you could start a franchise with Trout, Harper, Kershaw, or Markakis, who would you choose? Dan's chat has moved to Wednesdays! Considering that Theo Epstein is paid like a major league average player, and lower level front office personnel are paid much less, do you think front offices could gain more marginal value by investing in more analysts, scouts, etc. Is the Bautista deal (as expected) worth it? Do the Blue Jays have a chance to compete with the addition of Bautista? are buying Porcello as an "ace" again in 2017? Hi Travis. It's seemed to me for a while now that A.I./machine learning is a potentially useful way of evaluating scouts internally, so your mention of modeling scouts in your Pacific scouting article set off alarm bells. Do you know if teams are currently using AIML to evaluate their own scouts? And if so, do you have a sense of how successful a tool it is? Can you give a quick overview of what topic you will cover most in your chats, or which you prefer to cover? For example, some chats are heavily prospect-based, some avoid fantasy, etc. I'm pretty open to anything. I will try to answer interesting questions that I feel I can answer or add something to. Disclaimer: I'm not Eric Longenhagen on prospects, and while I play in a dynasty league I've never been invited to play in LABR. Any thoughts re the risk/reward curve in the Rangers' gamble on Tyson Ross? If clubs should be looking to Korea more (I agree) why not also to the NPB? The NPB is a better overall league than the KBO by a lot and Japan has a larger and richer history of baseball than Korea. Why is KBO talent so in demand and NPB talent (for position players) isn't? Is it just because the posting system makes NPB players a worse value? Hi! I absolutely love your work so far and look forward to what you have in store for us. Do you think it is a possibility that the market is undervaluing outfield defense and that's why teams like the Rays and Mariners are stocking up on the best fielders? What do you expect from Billy Hamilton? His baserunning and defense are so great he's been worth almost 4 WAR. Is 5-6 WAR realistic if he can hit literally league average? Do you have any parts of the game you're most interested in? Prospects, analytics, etc? Almost everything about the game can be interesting, so I'm pretty open to any type of question here. Are the White Sox bluffing with respect to holding Quintana into the season? Increase in return is probably small and the risk is obviously asymmetric and concentrated. Why don't teams hire each other's analysts more often? They might not come with source code, but any sharp one should be able to recreate a lot of the old system. Well, we see some of that. I know the Diamondbacks just hired the Pirates' No. 2 quant in Mike Fitzgerald. Do you think Gary Sanchez gets the full workload this season? Do the Yankees stay patient if he's cold out of the gate? Would Pitt hold onto Cutch and sell off other pieces to bridge to the next wave of high-end talent? Move Marte, Cole, Watson while value is high and bet on Taillon, Meadows, Bell, Glasnow and co leading a division winning team in 2019?